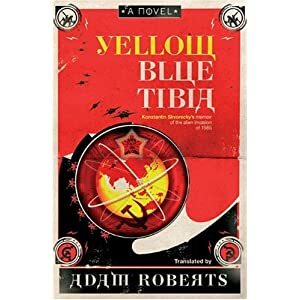 Some recent reading – Yellow Blue Tibia — Part a droll comedy parodying the fall of Soviet communism, part an intellectual inquiry into the idea of multiple quantum realities and part an attempt to discover why, despite the ubiquity of reported sightings, UFOs have never been proved to exist. As ever with Roberts, the writing is impeccable and the ideas riveting. Roberts other books, SALT and STONE are also excellent. And the companion piece – Aliens – Why there are here. 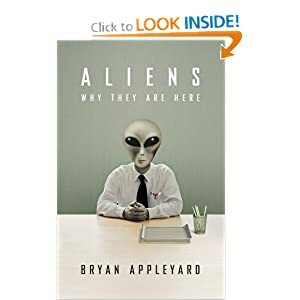 Of course the aliens are not here for a whole range of very good reasons, nevertheless the phenomenon does persist with literally millions believing they have been abducted, seen UFOs or the like. Brian Appleyard explores this curious cultural phenomenon. While I am ready to believe anything given a reasonable amount of proof, it takes more than blurry photographs online or Youtube videos. Though, I grant, the interesting idea explored in Yellow Blue Tibia is that frequently things are right in front of us, but we don’t see them. Supposedly, Native Americans didn’t ‘see’ the ships of white settlers because they were so far beyond their experience. Which could well be operating in the case of alien visitors, and may be a possible explanation, but is still a long long way from a proof. The other interesting idea, explored in Aliens: Why there are here, is the fact that we have evolved over the course of time to our become our unique physical and psychological selves. An independent evolution in an alien biosphere would produce beings radically different to ourselves, who most likely couldn’t or wouldn’t want to talk to us, or even if they did, would find no common ground. The chances of alien life even being bipedal are exceedingly remote. 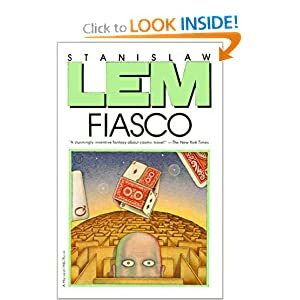 This radical idea is explored in Stanlislaw Lem’s incredible work, Fiasco. Humans venture across the solar system and indeed find highly developed organic life. Except, well, they are alien. So much so there really isn’t anything to talk about, and even if there was, they don’t want to talk anyway. They look like bread buns, and sit in the mud on a rainy planet. And are involved in a savage world war and are far too busy to talk to any visitors. A series of mis-understandings occur, some cowboy diplomacy on the part of the humans and both sides lurch toward mutual destruction. Great fun and highly recommended. An interesting and perhaps more realistic view of the tradition alien contact scenarios, where either the aliens are very advanced and either want to enslave us or benevolent beings wanting to share knowlege. Next story Good Luck ? or I’m so smart?